Donald Trump's job record as president so far has been pretty good. It's just not as good as Barack Obama's. 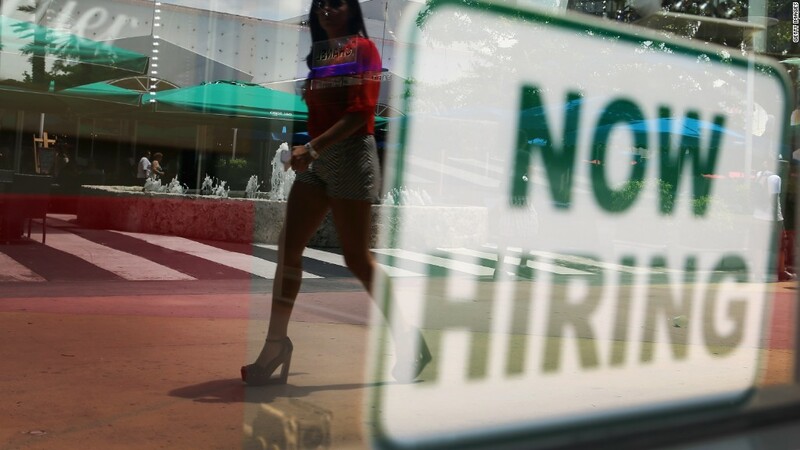 Employers added 1,189,000 jobs in February through August, according to data released Friday. That falls short of the 1,375,000 jobs created during Obama's last seven months. That means Trump is trailing Obama by 186,000 jobs when you compare the end of one presidency to the start of another. Here's another way to look at it: How is Trump faring on a straight year-over-year basis? He lags Obama there, too. There have been 1,189,000 jobs created under his watch so far, compared to 1,422,000 between February and August 2016. Of course, Trump's seven-month record is far better than Obama's first seven months in office, when the economy lost 3.6 million jobs. That's because Obama was sworn in during the worst downturn since the Great Depression. The economy was hemorrhaging jobs. By contrast, Obama handed Trump an economy that was close to what economists consider full employment. The unemployment rate on Inauguration Day was 4.8%, and it has fallen since then to 4.4%. In fact, if Obama left a problem for Trump, it wasn't that the economy was too weak -- it was that the labor market was almost too strong. At full employment, businesses have an extremely difficult time finding available, qualified workers to fill job openings. Employers would probably be hiring faster if they weren't having so much trouble finding the workers they need. Labor Department numbers show 6.2 million unfilled job openings, the most since the government started keeping track in 2000. The odds have become much better for people looking for work. Nearly twice as many people are quitting jobs as are being laid off or fired -- a sign of a strong labor market. Trump's figures for the first seven months could get better: The numbers for July and August are still preliminary, and other months could be revised, too.